Tomatoes are a great pick in both household dishes and home gardens. 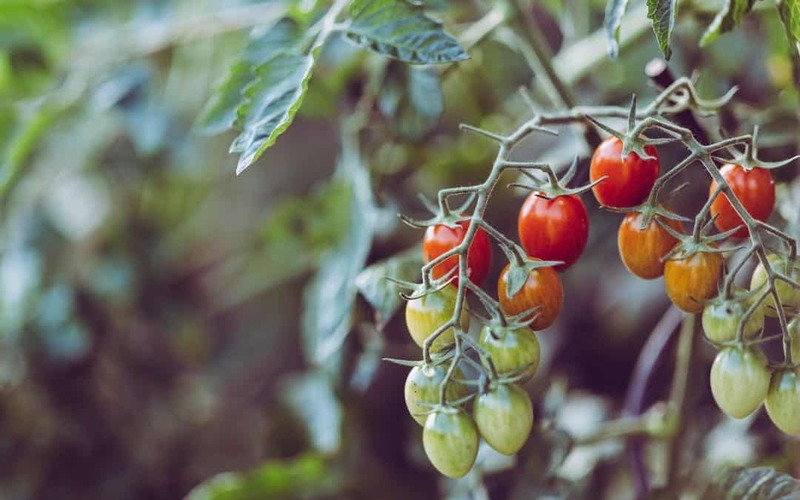 If you’re growing tomatoes in the front or backyard, you need to be knowledgeable about how to care for these plants and protect them from pests and other destroying agents. You may also have to take note of what makes tomato plants vulnerable to diseases and what gardening mistakes often cause their lives. Expert or beginner, you may at times commit these mistakes, so better be aware of them and save those juicy tomatoes from destruction. In the first place, you should have planted tomatoes deep enough. In the succeeding planting schedule, try to be extra careful in planting them deeply enough to survive and thrive and avoid tomato wilt. Bury two-thirds of the seedling length into the soil. Don’t worry about the little leaves if they get covered. Allow the buried stem to develop more roots. Remember how a deep and well-grown root system is a key to flourishing tomato growth. More roots mean more capacity to soak up water and nutrients. More nutrients mean a healthier and juicer tomato harvest. Be watchful if the garden temperature can reach as much as 90°F. If that is the case, set your tomato plants where they can enjoy an afternoon shade. If a transfer is not likely, you may have to make a way to provide some shade to them. While too much heat brings disaster to your tomato garden, this does not mean you are not going to expose them to the sun. In fact, one huge mistake gardeners make in growing tomatoes is not providing them with enough sunlight. Tomatoes need a minimum of 6 to 7 hours of sunlight exposure. Putting them in areas that are overly shaded can expose them to diseases and pests. Finding the right spot is the key. If finding an in-ground spot is not possible, you may plant tomatoes in containers. That way, you can quickly transport them in case the conditions become unfavorable again. Tomatoes can experience stress with inconsistent watering. You can end up having tomatoes with cracks if, for instance, you’re watering them a lot this week and the next, you entirely forget about them. Water your tomatoes regularly, slowly and deeply. Don't expose them to too much heat. In order not to destroy your own tomato plants, water them slowly and deeply. Think about their deeply reaching roots. You can best care for them by soaking your tomato beds once a week. During summer, you may soak it every 4 to 5 days to compensate with moisture loss under the hot sun. If you’ve underestimated the size of your tomato plants, you’re crowding them into their plots. Crowded tomatoes and other veggies will compete for nutrients, water, air, and sunlight. With little space in between your tomato plants, you’re making them more vulnerable to diseases and pests, too. Be sure to make a reasonable estimate of how big and tall your vegetables can grow. Provide an allowance for sufficient air circulation and adequate sunlight exposure. Make a wire cage; use a bird-netting roof. Build single cages for individual tomato plants. Build larger cages to enclose entire tomato beds. Get a cat or invite one to visit the garden. A neighborhood cat that occasionally visits for little meals or treats will do. Cats, by nature, love hunting, as such, they help a lot in keeping squirrels away. Have you recently checked out all plant parts? Do you see holes or spots on tomato leaves? Never ignore them. One of the most common signs of pest infection in tomatoes are holes in leaves. Do not ever ignore these tomato leaf holes. Once you’ve noticed holes, you may suspect of tomato fruitworms. Also known as cotton bollworms and corn earworms, these insects attack tomatoes plus other plants. 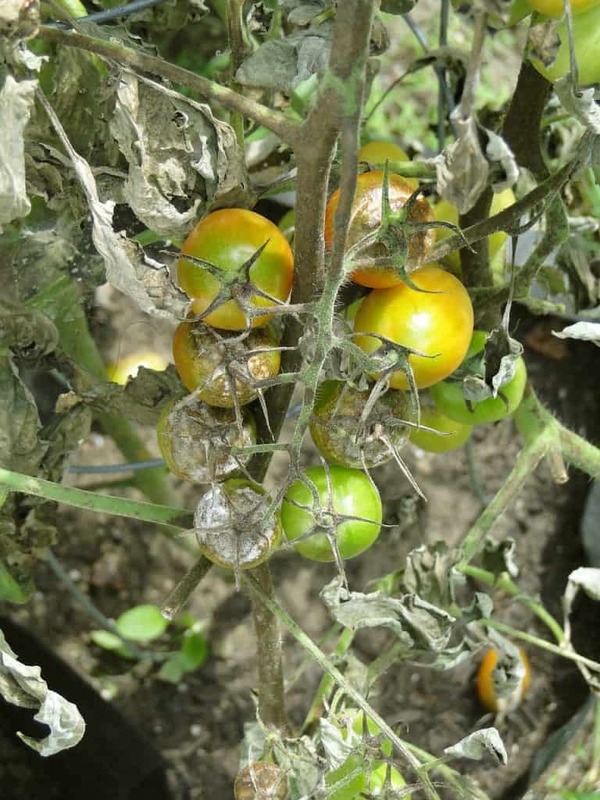 Colored green to yellow, or reddish to brown, fruitworms attack tomatoes by tunneling. Fruitworms will leave the interior part of tomatoes with a cavity filled with nasty fluid and droppings. 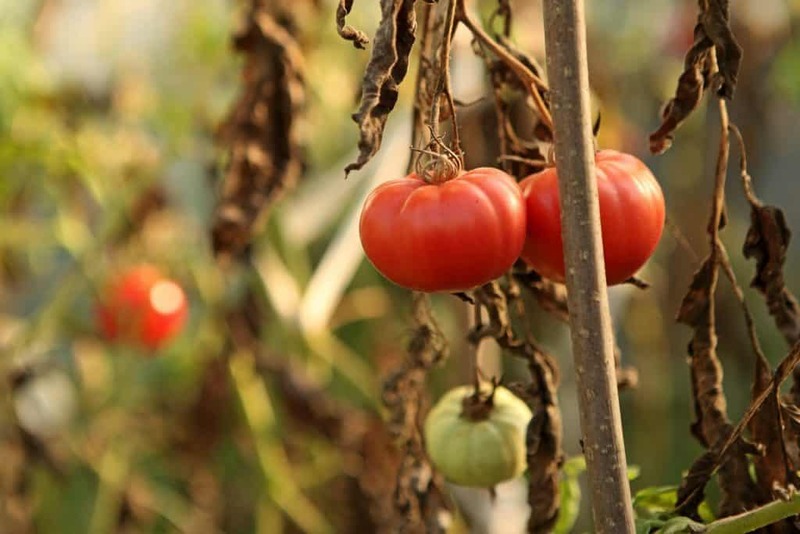 As a result, tomatoes decay and rot too easily. Check on the leaves for signs of diseases in your tomato plants. If you don’t want to destroy your own tomatoes, never ignore the signs. What you can best do is to employ natural means of getting rid of pests. You can release fruitworm predators such as big-eyed bugs, minute pirate bugs and Hyposoter exiguae wasps in your garden. Also, check for other disease or pest infections. You have to remove unnecessary leaves from tomatoes so you can provide better air circulation. With too many leaves, there will be a compromise on fruit growth. Unnecessary leaves eat up the nutrients, robbing them from tomatoes. You need flourishing tomatoes more than flourishing leaves. Prune the unnecessary ones. Soils you don’t work well from the beginning will demand heavily back at you. Work out the soil well right from the start. Enrich it with fertilizers to avoid trouble in growing tomatoes. If you love tomatoes so much that you keep growing them in the same ground, you’re treading on the path of destroying your next harvest. Tomatoes love nutrients so much that they can deplete what your best soil has. Try, instead, to plant tomatoes into a different spot each year. Rotate veggies, assigning them to new plots each year. That way, you’re keeping pests and diseases away from their anticipated and targeted spots, too. Alternatively, if you’re planting in containers, redo the soil each year. 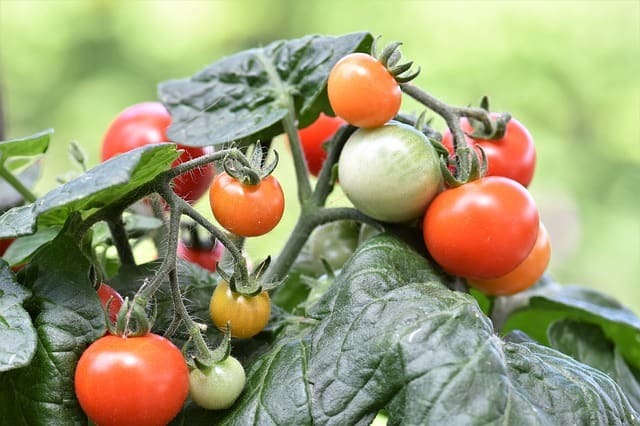 Growing tomatoes is a fun and exciting activity, especially if you think about your coming harvest, or if you're gardening with kids and family. However, you can’t be careless about taking care of them, unless you wish to see rotting or cracking ones, some tomato wilt, or spots on tomato leaves. Admittedly, even gardening experts commit a couple of mistakes when growing tomatoes. This doesn’t give anyone an excuse to stay careless, though. At least, now, you already have the idea on how to troubleshoot common tomato-growing mistakes. Just review the list above and if possible, commit them to memory. Now that you know the fundamentals on how to grow tomatoes disease-free, you can avoid destroying your garden tomatoes. Look forward, then, to a bountiful and juicy harvest!